Pitch Up! takes Paul Boross' 25 years of experience in pitching and applies it to the world of job hunting and career development. In today's crowded and competitive career market, it's easy to be left behind. Whether you're looking for a new job or for promotion in your current one, getting ahead of the pack is what you need to do. 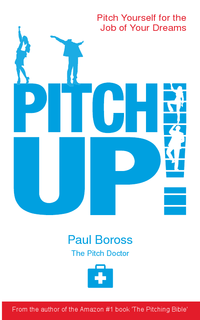 Paul Boross, The Pitch Doctor, has applied his 25 years of pitching experience to the goal of grabbing the recruiter's attention, standing out from the crowd and winning the job of your dreams. So, don't just sit there Pitch Up!